Hello folks, it is nice to have you here again. 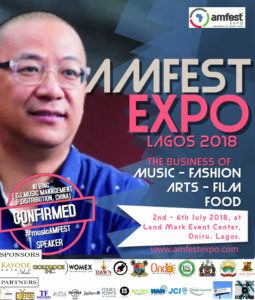 we are always happy to share information about Amfest Expo, Lagos 2018 with you. I hope you have the July 2-July 6 2018 date of the event marked off in your calendars? From today, in addition to information about those who have been confirmed for the event, the partners and the sponsors, we are going to be sharing the stories behind Amfest Expo 2018 and the step by step evolution of the event. Of course no story can ever be as reliable as one that comes from the horse mouth, and that is why we are kicking things off with an interview with the brain behind Amfest Expo Mr. Kayode Amedu Adebayo. 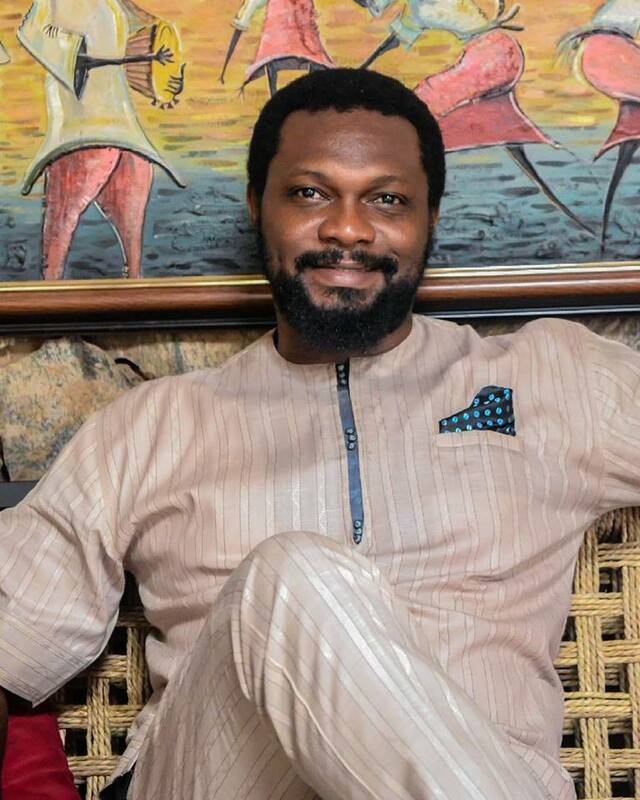 CEO at Kayode Adebayo Media, organizers of Amfest Expo Lagos 2018 Today’s Interview is the first of the series of chats with Mr. Adebayo that we will be bringing to you in the coming days. So let us start from the most basic question, What was the thinking that brought Amfest Expo Lagos 2018 to being? Amfest Expo came to me in 2015 as an idea that arose out of a need to see professionals in the creative industry thrive. For me, I believe that the Nigerian creative space has grown beyond Africa, especially at the level of content supply and the capacity of the talent that we have in this country. The idea is that Nigeria is already doing well in the African space in music, fashion and the creative arts generally. The question that this then raises is “What next for Nigeria?”. This is the question that Amfest Expo Lagos 2018 seeks to answer. The idea behind the expo is to allow Nigerian creatives to grow beyond Africa, and to become major global players. As such, a creative in Nigeria has a potential market of 7 billion customers and a global market space, as opposed to the 180 million- less than 1 billion, that such a creative will normally be exposed to. This implies a huge financial bottom line for the creative, and makes the whole creative endeavor worth his/her while. A lot of people do not know that You have been involved with Ibadan Countdown Festival, a regional iteration of what Amfest Expo Lagos 2108 is expected to be. How does your experience of the Ibadan Countdown Festival key into the idea of Amfest Expo? Because of my business background in construction, hospitality and real estate, I have come to find out that a lot of businesses can grow out of the massive population that Nigeria has. There is an economics behind such a huge number of human beings living in a single location. I have always known from experience and research that when a lot of people come together to one location, the basic human needs will start to creep in. The need to eat, to sleep, to wear clothes, basically human needs and wants. With all these in mind my organization began to moot the idea of of providing a service platform that can come from the huge population that Nigeria boasts off. It was at the time that the opportunity to be part of the Ibadan Countdown Festival came up. It started when a couple of friends came to see me about the possibility of financing a festival where people in Ibadan can come together to enjoy themselves. I liked the idea, especially as it was similar to what I had been nursing for a long time. My organization could not finance the project at the time because we were involved in some other projects. However I put to the organizers the possibility of my organization supplying our services as project and media managers. With that, we were able to support the festival in terms of planning and logistics. That is where the story of how the Ibadan Countdown Festival ties into the AmfestExpo story. The Ibadan Countdown festival provided an opportunity to test the ideas we had been mooting, on a regional scale, to see if they are feasible and viable. I can tell you that the last edition of the Ibadan Countdown festival was a success, running for 7 days and attracting more than 21,000 people. You have talked about the idea behind Amfest Expo. 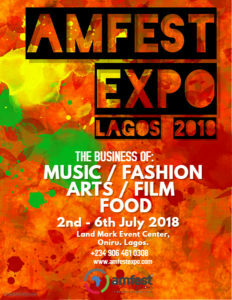 Are there any specific things that you hope Amfest Expo Lagos 2018 will achieve in the immediate aftermath of the Event and long term? Basically, we want a situation where the world gets to know more about Africa, especially from the creative industry perspective. We are catering to six industries which are Music, Fashion, Food, Film, Creative Arts, and Technology. We want the whole world to know how beautiful, interesting and financially viable African Art, Culture and Entertainment is. It is this idea that drives the kind of partnerships we created in the buildup to the Lagos Event. We are currently in partnerships with Piranha Arts, Berlin, Germany, organizers of World Music Expo (WOMEX) and Goldrock Incorporated USA. These platforms already have access to people all over the world. So us bringing them into the initiative for their technical knowledge in planning for events is essentially us plugging into the connections these platforms have gathered from all around the world. Again Fortunately for all of us involved, we started the idea at a time when African Arts is starting to draw the attention of the global audience. People are interested in being part of the African creative movement. African music acts like Wizkid and Davido for example are filling seats in shows all around the world. We have no less a personality than Beyonce Knowles, using Ankara costumes to theme her videos and working with the likes of Laolu Sebanjo to create videos with African art and aesthetics. Therefore the brands/platforms we reached out to for partnerships opened their arms to welcome us and were eager to listen to our ideas. That is where the global alliances for Amfest Expo came from.